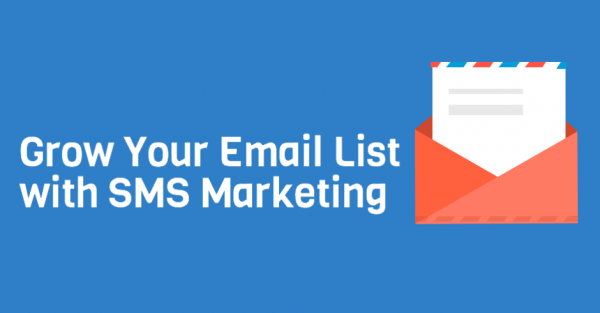 Did You Know SMS Marketing Can Help You Grow Your Email List? Blog Home » Did You Know SMS Marketing Can Help You Grow Your Email List? We’ve boasted a ton about the benefits of SMS marketing, and rightfully so. This immediate and affordable mobile communication allows you, the small business owner, to grow your business on a shoestring budget. Reach interested customers at the click of a button. Schedule out SMS campaigns that help you sell your product or service. Beyond this, did you know SMS marketing can also help you grow your mailing list? Buckle up, and get ready for a mini lesson. Think it’s too good to be true? Think again. As a general rule, we always recommend coupling SMS campaigns with two or three other effective marketing methods. This helps you get more bang for your buck, and build a digital following that lasts. If a subscriber opts out of your SMS marketing list, but you collected his or her email address weeks prior, this allows you to maintain that relationship, only via another medium. So, now you might be asking, “How exactly do I use SMS marketing to grow my email list?” Start off by switching on the email capture feature in your Slick Text dashboard. Then, compose a custom message. This text will be sent to subscribers after initial opt in. It will simply request an email address in exchange for a special offer. Now, remember, never be invasive, or take advantage of your customer contact information. If a subscriber provides you with an email address, make sure to reward their efforts accordingly. Doing so will strengthen the credibility or your campaigns, and increase long term customer engagement. Partner up with the top SMS marketing provider, Slicktext.com. Give us a call today at 1.800.688.6290 to learn more. Or, hop over to our pricing page and sign up for a free plan. We offer a feature rich platform with educational tools that empower you to succeed.